For thousands of years, men have used rings and other accessories to send messages about their statuses, commitment, and other significant themes. While there are a lot of cultural traditions and expectations that surround the etiquette of wearing a wedding band, we believe that the meaning and material of your wedding band matter most. 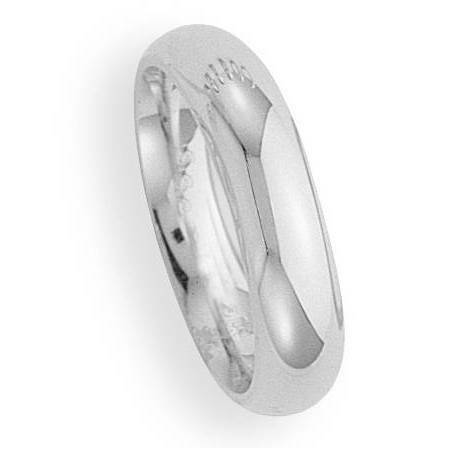 Explore the incredible detail and unbeatable gleam of our men’s 5mm domed comfort fit 10k white gold wedding band today. 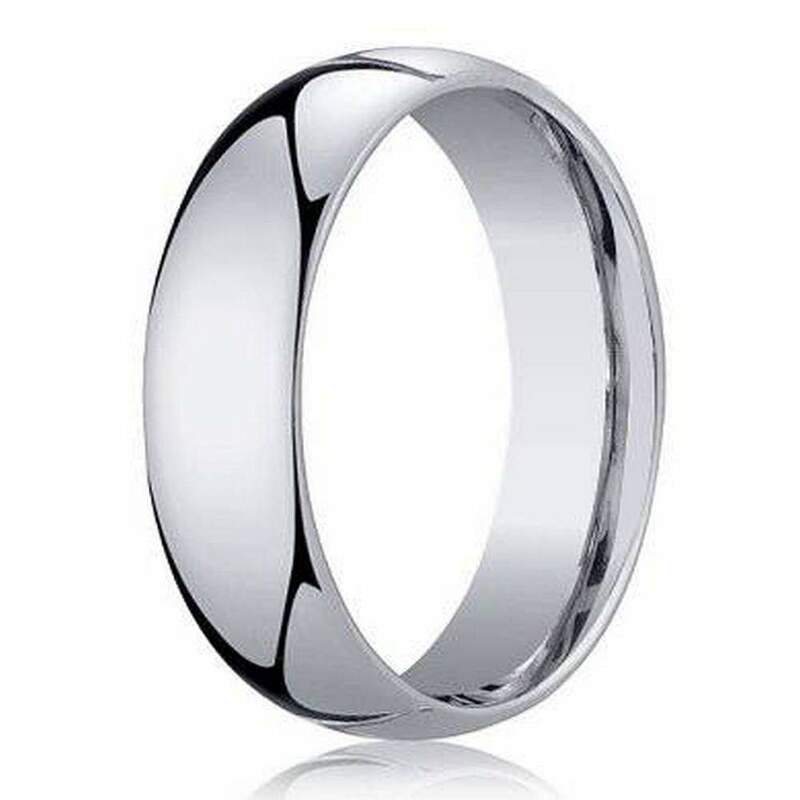 White gold is growing in popularity due to its cool, silvery appeal that reminds grooms and couples of platinum, another desirable precious metal. White gold is known for its radiant shine and our men’s 5mm domed comfort fit 10k white gold wedding band will not leave you disappointed. All 10k gold colors contain approximately 41.6% pure gold, but white gold has the advantage of being blended with metals such as silver, manganese, palladium, and nickel in order to effect a whitish hue that you cannot get from yellow or rose gold rings. Another appealing aspect to white gold is that, in plain view, it’s almost indistinguishable from platinum, one of the preferred and more expensive precious metals used to design wedding bands. Have the best of both worlds in the most beautiful way by choosing our men’s 5mm domed comfort fit 10k white gold wedding band. The comfort-fit design can be appreciated by men who work with their hands all day and want to avoid the irritation or accumulated moisture found with many styles of rings that rub against the skin. Comfort fit rings are also ideal for men with large knuckles. Best Price, showed up quickly, was just as described. Couldn't ask for more. Great experience.